In terms of strength - they are asked to put aside physical strength as a means of developing looseness (song) and pliancy (rou) – “Using intention and not strength”; To increase speed, the system counter-intuitively instructs practitioners to slow down their movements, keeping faith with Taijiquan’s maxim which states that “extreme slowness gives rise to extreme speed”; To develop the quality of changeability Taijiquan advises learners to “use inaction to control action, meeting all changes with constancy”. With this basis the skilled exponent is psychologically strong enough to wait for opponents to over extend their position before launching an attack. After the San Diego seminars we spent a couple of days of down time in San Francisco’s historic Chinatown. The oldest Chinatown in the U.S., this colourful district played a pivotal role in the history of Chinese martial arts in the country. Walking down the bustling streets of the largest Chinese enclave outside of Asia has much the same feel as strolling through the back streets of Hong Kong. Loud murals decorate many of the side streets - terracotta warriors, the monkey king and his companions and of course Bruce Lee, the “Little Dragon” born in the city in 1940 before moving to Hong Kong with his parents as an infant. The story goes that on his return to America, the brash young Lee alienated many of the older established Chinese masters as he attacked the “classical mess” of traditional gongfu and his assertion about its reliance on, among other things, “ineffective” forms training. Somewhat ironically, a paving slab beneath one of the murals of Bruce Lee was inlaid with a bronze inscription of an old Chinese idiom - “When you drink water, think of its source”. In one form or another I've heard this saying repeated many times over the years. From my younger days doing Shaolin Gongfu when we were told never to forget we were no more than links in a chain. In Chenjiagou I saw the saying presented in a slightly different form - "When you drink the water, remember the person who dug the well". Chen Taijiquan is close to four centuries old. It didn't emerge from a vacuum but was built upon existing knowledge in areas including martial arts, traditional health practices, elements of Chinese medical theories and ancient philosophy. 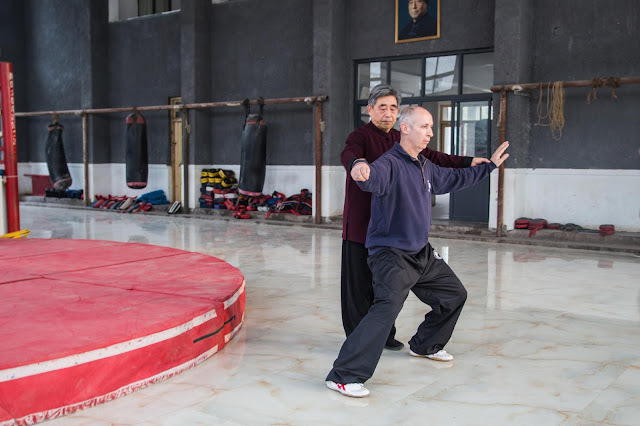 Throughout Chen Taijiquan: Masters and Methods all the older generation teachers interviewed stressed the importance of following a prescribed route that had been passed down by previous generations. Wang Xian, speaking of this "carefully preserved knowledge... [stated that] Taijiquan offers one of the most formally thought out, meticulous, and clearly articulated set of principles and practices". 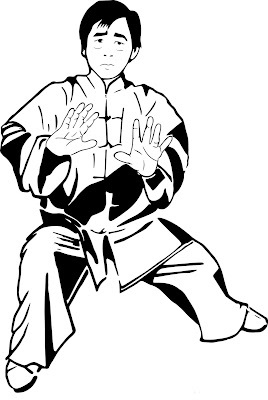 Our job in training Chen Taijiquan is to try to understand and manifest these principles that have been handed down. Stopping for a coffee at the Caffe Trieste I was told by a chatty regular that this was the place where Francis Ford Coppola wrote the screenplay for ‘The Godfather.’ I did a little research on the place and found that "...when Papa Gianni founded the Trieste in 1956, upper Grant and the Trieste was ground zero of the Beat Generation. The poets, the writers, the thinkers, the talkers all came here.” Since we were on a mini book tour I took that to be a good omen!! Our next stop was Kim Ivy's Embrace the Moon School in Seattle. The Seattle programme began with a "Book Club Potluck" - Great food followed by a lively Q&A session on Chen Taijiquan: Masters and Methods - covering the books content and the background story behind its creation. We basically wrote the book to “scratch an itch” and tried to present it as if we were sitting around the fireside having an informal chat with the most illustrious elders of Chen Taijiquan. Like the seminars in San Diego, training centred around Chen Taijiquan's basic exercises and Laojia Yilu. Taijiquan looks to hone four external and four internal aspects: externally training the hands, eyes, body method and footwork (shou, yan, shenfa, bu); internally training spirit, intention, intrinsic energy and trained power (shen, yi, qi, jin). Taken together these represent the "gong" of the art. In practice these elements must be cultivated carefully bearing in mind the health, strength, experience and level of understanding of the practitioner. Over the course of the US seminars practitioners varied in age from people in their twenties to seventies - from pro-athletes to retired office workers – from veteran practitioners to newcomers whose experience could be measured in months. To be successful training has to take into account these natural differences and be approached on an individual basis. As the saying goes “Don’t’ compare yourself to another person today, compare yourself to yourself yesterday”. So what are we trying to achieve when we train Taijiquan? The most obvious place to start is with the name of the system - "Taiji" refers to a philosophical concept that dates back to China's ancient past. "Quan" is martial arts. Together giving a total art built upon the integration of philosophy and martial arts. Manifesting the art to its full potential depends upon working from where you are today and embracing concepts that have grown from a different culture and mindset. Taijiquan skill arises from a comprehensive study of the body as a unified whole or system. The core training methods of the system are built around the qualities of looseness, pliancy and slowness. Slow training provides a means by which to improve body co-ordination and to help to rid the body of any excess tension. The process of slow training over an extended time helps practitioners to achieve a unification of body and mind described in Taijiquan literature as the harmonisation of the mind (xin), intention (yi), intrinsic energy (qi), and body strength (li). Every facet of a person – physical, emotional, mental and spiritual – is seen to be interconnected and interdependent, and no aspect can be understood in any meaningful way except in relation to the whole. This wholeness is realised via the nurturing of Taijiquan’s six harmonies. These can be widened to take in the connections between the left hand and the right foot, the left elbow and the right knee and the left shoulder and the right kua (and vice versa). The late grandmaster Feng Zhiqiang summarised the external harmonies simply as everything “arriving at the same time” – so every movement is performed as an integrated whole. The correct way to apply power arises not from isolated muscular strength, but from an optimally aligned body structure and unified movement through a relaxed physical and mental state. In this context, xin refers to the emotional aspect of one’s mind, yi to its logical or intentional part. The literal translation of the Chinese character xin is "heart". Early pictograms of the character for xin unambiguously show a picture of the physical heart. Xin represents the centre of human feelings and emotions. Literature from the Warring States period of Chinese history depicts it as the centre of an individual’s emotions and sentiments, from tranquillity and calmness, to anger, grief and disappointment. Taijiquan players are often told to “use intention and not force”. Mental unity is predicated on the presence of both the emotional and logical mind. In a real confrontation conflicting feelings or thoughts can have dire consequences. While xin or heart is necessary to summon up sufficient courage, yi enables them to act with a clear purpose and make the right decisions in an instant. So, in a real world example we could compare an individual exhibiting xin without yi to the hothead who fights rashly and with uncontrolled emotion and no clear intention. Conversely, yi without xin, could be characterised by the individual lacking in fighting spirit although knowing in their mind what they should do. The idea of linking heart and fighting spirit is also common in the West, where, for example, a skilful but hesitant boxer will often be accused of lacking heart. The fusing of heart and intention allows one to bring into play an energy that is fully focused and integrated. Combining this with the powers of the body represents a joining of internal and external aspects – that is the connection of energy and strength (qi and li). Achieving this degree of synchronisation enables the body to operate as a unified whole - in terms of Taijiquan’s harmonies, linking the tendons with the bones. 1. The first step involves an in-depth and meticulous study of the “gongfu frame” (the first routine) of Chen Family Taijiquan. 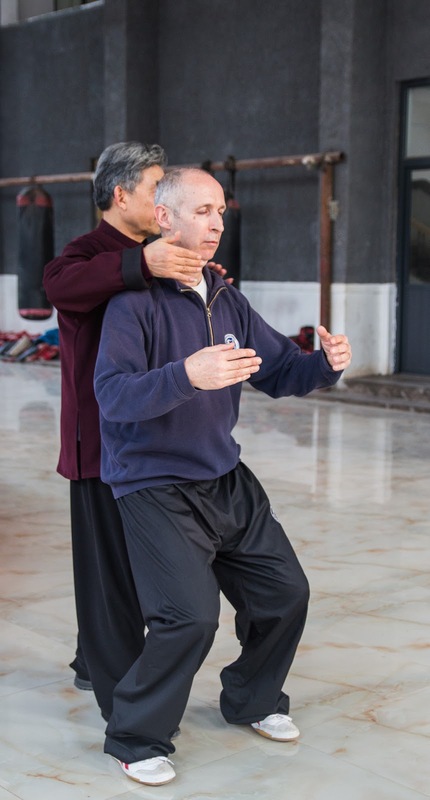 Chen Taijiquan’s gongfu formula is based on the foundation of the original boxing form that has been passed down from generation to generation. 2. From this basis studying the indoor methods within the gongfu form that enable the altering and transformation of power and the system’s attacking skill. These skills are based on the changes and transformations that arise from the total familiarity of the gongfu form. Study each and every move for the ability to bring out the perfect round, complementary and spiral force, and the skill to transform each and every move that can be utilised. The goal here is to achieve the highest level of power that encompasses looseness, pliancy, elasticity and “shaking power”. 3. The third step is to study the indoor method of tuishou. Based on the foundation of the alternating and complementary spiralling skill, learning the two persons tuishou methods, using the skill that has been extracted from the meticulous study of the form. Through these methods becoming familiar with the different energies/power and attack/defence possibilities. Practicing until one is completely accurate in listening and differentiating incoming energies and until reaching the stage where the opponent can be felled unwittingly and unconsciously. 4. Finally, studying the sanshou method of Chen Taijiquan. Now building on the foundation of the previous steps, a practitioner undertakes two persons’ sparring that is not restricted by the prescribed form, so as to learn the full repertoire of defence and attack. Using the ba fa - peng, lu, ji, an, cai, lie, zhou, kao - together with seizing, grasping, throwing, sweeping, practicing possibilities of actual fighting. Until reaching the stage of being able to borrow another’s force, to “divert thousand pounds with four ounces”. As always, the advice was that there could be no shortcuts and that the above four stages must be progressed through step-by-step, layer by layer, gradually and incrementally increasing one's level of skill. Taken together, the masters presented are not restricted to any one school. That said there are many connections and areas of shared experience between them. Combined, they represent a strong link in a chain preserving a common heritage. In modern times there has been a mystification not just of Taijiquan, but traditional martial arts as a whole. These arts that for centuries were trained in a practical and pragmatic way as a means of self-protection are treated like some kind of modern fantasy. What exactly is Chen Taijiquan? Chen Taijiquan is a sophisticated physical system that has been shaped by a different cultural tradition. It presents us not only to new ways of performance, but also to new ways of thinking and understanding. Unfortunately, the vast majority of explanations fall far short, showing either a lack of knowledge or a strong bias in perceptions. Concepts that don’t translate easily into English are often disregarded from the outset. At heart Taijiquan is a functional combat system and like all martial arts the three essential elements of strength, speed and change must be omnipresent. Through a variety of training methods, the aim is to enhance the body’s strength, speed and develop a more and more subtle ability to change. These results cannot be achieved without committing to a programme of hard work way above a person’s normal capacity. However, Taijiquan is different to other martial arts: From the perspective of strength, it tells practitioners to “practice by using intention and not use strength”, and also through looseness to completely discard their inherent physical strength; To cultivate speed, Taijiquan advocates using slowness, its boxing theory speaking of the way in which "extreme slowness gives rise to extreme fastness"; To increase the skill of change Taijiquan advocates "using inaction to control action; meeting all changes with constancy”. In essence, therefore, we can see that Taijiquan requires practitioners to put aside the accepted methods of improving and enhancing the functions of martial arts. Feng Zhiqiang - a senior disciple of the legendary seventeenth generation master Chen Fake, explains how Taiji gongfu is acquired through a “combination of training and nurturing, with nurturing as its mainstay”. He stresses the fundamental importance of cultivating and nurturing every aspect of one’s being. The basis of Taijiquan rests upon the steady building and development of qi (intrinsic energy), of shen (spirit), of xing (character) and of shen (body). To enter the door of authentic Taijiquan training he advocates placing a premium on developing the twin qualities of looseness and heaviness. Feng Zhiqiang cautions awareness of the many traps lying in wait for practitioners not fully conversant with the aims and method of Taijiquan. He touches on numerous interesting topics including: the use of specific acupoints as gateways through which a practitioner can help the relaxation process; the need for a “complete training” approach emphasising training the three aspects of internalised skill, form push hands; and the role of physical strength in Taijiquan practice. Chen Xiaoxing – Principal of the Chenjiagou Taijiquan School addresses the nature of Taijiquan and its integration of philosophy and martial arts. Starting from the widespread misperception of Taijiquan as an unchallenging art for the old and infirm, he rails against the general public’s view of Taijiquan as some kind of recreational “exercise for parks and street corners”. Chen Xiaoxing touches on the necessity of having a good working knowledge of ancient Chinese culture and its unique way of understanding the laws of nature and the interrelationship of things. 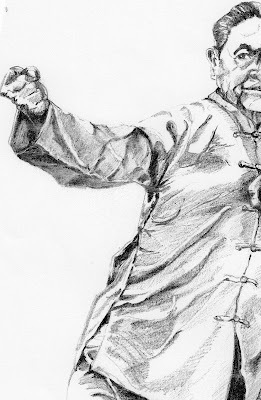 He is of the opinion that without this, while one can realise the most basic physical aspects of Taijiquan, “there’s no possibility an individual will be capable of practising good Taijiquan”. Chen Xiaowang - speaks about the best way to bring out the functionality of the form, paradoxically cautioning against learning set applications. To reach the highest stage of Taijiquan development, an individual must react in an instinctive and spontaneous way. The physical body and mental intention have been harmonised and absorbed to become a natural part of one’s being to the point where they are able to move and react exactly as circumstances dictate from moment to moment, rather than trying to react with a limiting series of fixed ideas. Ultimately Taijiquan adepts work towards a time when the whole body acts as a unified and highly co-ordinated unit. Chen Xiaowang gives a comprehensive explanation of just one aspect - the way in which the two hands are synchronised to accommodate their alternating function as either the “guiding” or “directing” hand. 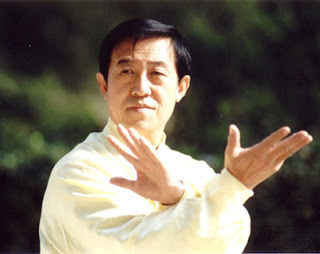 Wang Xian - discusses the most important points to consider when practising Taijiquan: including its focus on looseness, spiral movement and the necessity of using intention; the best way to bring out the system’s functionality; the three stages of progression that all practitioners must go through and the specific drills and training methods that must be employed at each stage. Wang Xian explains that the form is not a dead thing, but must be alive within the principles. You must be conscious that you're training a martial art (quan) when doing form or the form will be empty (kong). This can be in terms of understanding the potential functions of movements or in the development of martial qualities such as rootedness, footwork and awareness. Zhu Tiancai - talks about his experience learning Taijiquan in Chenjiagou and about training with his two main teachers Chen Zhaopi and Chen Zhaokui. He outlines the main differences between the Laojia (Old Frame) and Xinjia (New Frame) routines he learned from these two teachers respectively. 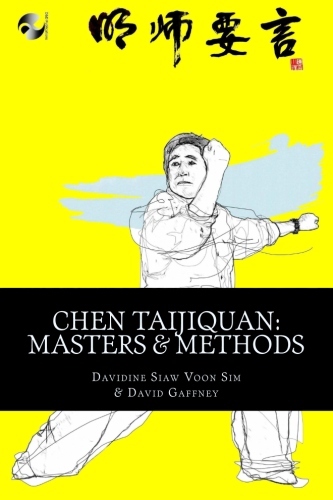 Zhu asserts that despite superficial differences; in essence the two forms are the same and goes on to describe the core methods of Chen Taijiquan: first looking at the bafa or eight types of jin, which he believes are often quoted but only understood at the most superficial level; next describing the four different methods of training Chen Taijiquan uses to develop and bring out these types of jin. He explains the two overarching ideas that must be present if one is to be able to react in a spontaneous way and at the same time remain within principle. In the concluding section Zhu Tiancai speaks about the importance of nurturing one’s body and cultivating one’s character. Chen Zhenglei - After clarifying the difference between Taijiquan and external martial arts systems, goes on to explain several necessary ways practitioners should approach their study of Taijiquan: firstly placing an emphasis upon understanding the principles and philosophy of the art instead of fixating on individual postures and applications; secondly, seeking the cause rather than the obvious manifestation of movements; and finally, training the whole body to be a synchronised system rather than concentrating on individual applications. This approach is opposite to the common Western way of viewing the world where components of a whole are separated out to allow us to study them more closely. In the process losing sight of the fact that it is the working of the whole that matters. Chen Yu – Beijing based son of the eighteenth generation master Chen Zhaokui addresses the confusion of many modern practitioners regarding the role of physical strength in Taijiquan. He points to the need for individuals to possess a basis of physical strength to support the more subtle elements of skill. Going on to explain why the qualities of looseness (song) and suppleness or pliancy (rou) are so important in the development of a fully integrated type of strength. He details the approach that must be followed if one is to integrate the internal and external aspects of the body. Yu Gongbao - author of the world's first dictionary of Taijiquan and China’s first Professor of Taijiquan explores the art from the perspective of its cultural properties. He outlines the characteristics of this distinctive martial art that uses physical movement to express the spirit of the Chinese nation, Yu explains how Taijiquan culture functions within a system that can be neither divided nor isolated. Rather, it must be understood from numerous dimensions. 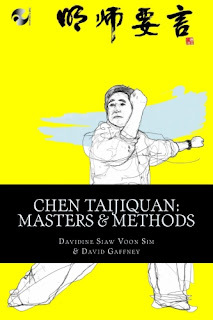 In his logical study he considers some of the main elements we need to think about including Taijiquan’s broad social influence, including the way in which practicing Taijiquan has provided a portal through which many non-Chinese have come to appreciate cultural norms and the principles of self-cultivation.